Of the Laurent Giles designed yachts, I’ve always liked Vertues. A friend of mine built the very first Mark 11 GRP version. She was made from sheathed fibreglass planking formed on a male mould. I had the privilege of crewing for him on a cruise from Canvey Island, Essex to Guernsey, one of the Channel Islands. When I was skippering ‘Speedwell’* (Not ‘Speedwell of Hong Kong’***) at Brighton I was invited to look at a Cheoy Lee Vertue. The quality of workmanship was first-class. 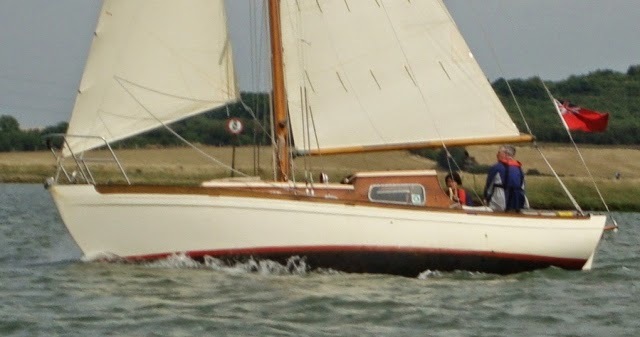 The Vertue shown in the photo is ‘Hussar’ ** sailing on the River Crouch. 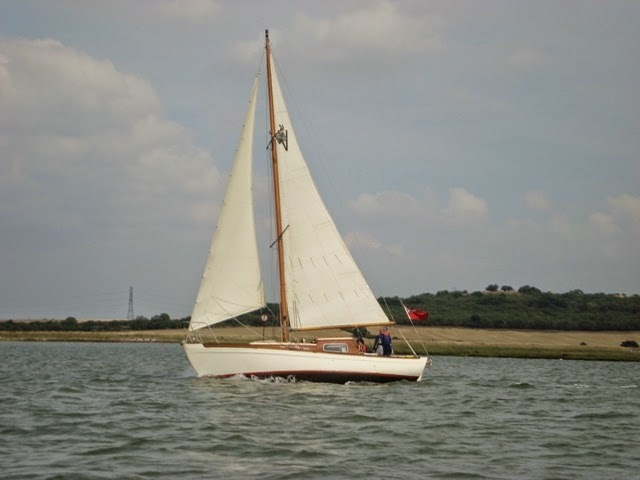 The Vertue is one of my very favourite of boats - and it has such a rich history. I think Hussar is improved by having the jib headstay attached to the top of the mast making her a Sloop rather than the original "Slutter" (horrible word) rig.